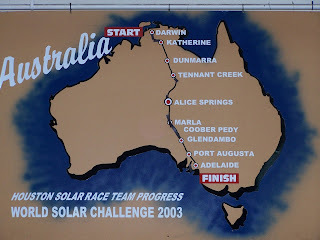 After not being able to attend the 2011 World Solar Challenge, we are determined to make it to the event in October 2013. Above is a race route from 2003 that we have hanging in our shop as motivation! This past week, we all started back to school! 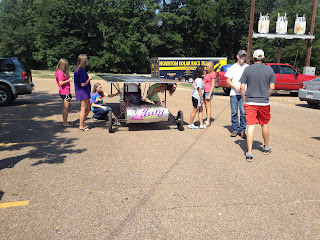 Since then, we have added new members, visited the local Exchange Club, and had an orientation meeting for the year! Below, we are letting some of the new members try driving the cars!